Dallas Cowboys running back Ezekiel Elliott will appeal a misdemeanor conviction for speeding, according to a report. 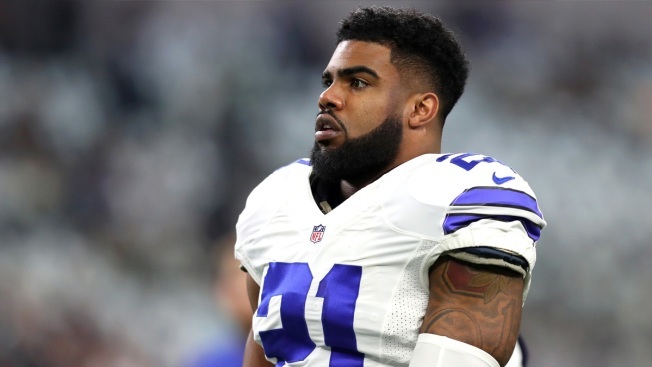 According to a citation obtained by The Dallas Morning News, Elliott was ticketed for driving a 2016 Dodge Charger 100 mph in a 70-mph zone on the Dallas North Tollway near Cotton Gin Road in Frisco at 3:06 p.m. April 4. Elliott was also issued a warning for not having a license plate on the front of his car. The DMN reported that Elliott initially pleaded no contest, which the court accepted July 5. Neither Elliott's attorneys nor the Collin County District Attorney's office commented on the appeal. News of the appeal came the day after sources told NBC 5's Newy Scruggs that Elliott was involved in a physical altercation at a Dallas bar Sunday night. Elliott is also under investigation by the NFL for his involvement in a 2016 domestic violence incident in Ohio.